Today sees the culmination of Groups E and F, with Mexico v Sweden, South Korea v Germany, Switzerland v Costa Rica, and Serbia v Brazil taking centre stage in determining who will meet the winners and runners up in the next round. 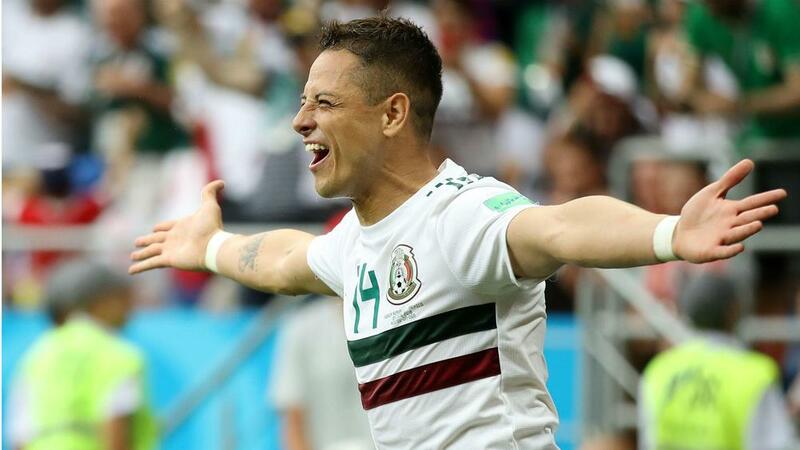 At 15:00pm (GMT) or 16:00pm (CEST), group leaders Mexico will play Sweden, whilst Germany take on South Korea, with the second place of the group very much at stake between Sweden and Germany. In Group F, it’s Mexico v Sweden, which will be a must win match for Sweden, who at least need to win by a goal difference of two goals, in order to stand a chance of qualifying ahead of Germany. Since Germany are very much expected to beat South Korea, who will very much be playing for pride. Mexico coach Carlos Osorio looks likely to field the same team, however, he may ring a few changes in order to rest players and keep the squad harmony at an optimum level. 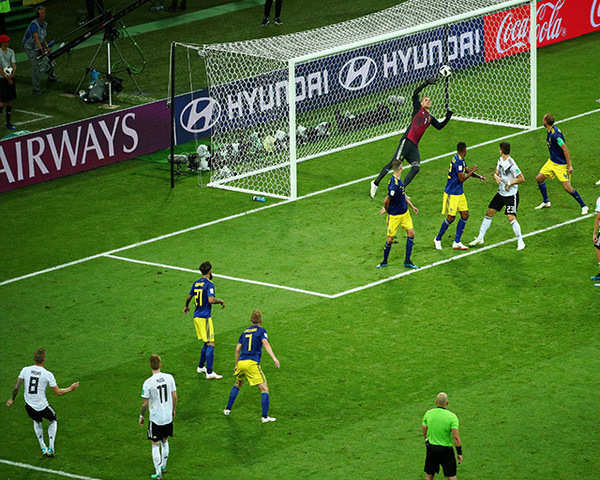 Sweden showed that they could play a bit against Germany, but looked so surprised when they got any opportunities, that inevitably they fell at the last hurdle, with that late Toni Kroos free-kick losing them the match against the Germans. Yes, Sweden need to beat Mexico by as many goals or more, than Germany beat South Korea. Sweden will likely also name the same side today, although, if coach Janne Andersson was smart, he’d replace striker Marcus Berg with John Guidetti, but that’s not going to happen. We have truly lost count of how many chances that Marcus Berg has missed, but that’s another story. In Group F, South Korea v Germany will be Korea’s only chance to make an impression, after only registering a lovely consolation goal from Son Heung-Min against Mexico in the last match. Can Tottenham’s Son Heung-Min and Korea really shock Germany and shatter their World Cup dreams today, within finishing the match as a draw or even with a win? That’s not going to happen, and South Korea will field the same line up as against Mexico. Germany will likely continue to play Marco Reus ahead of Mesut Ozil, whilst Jerome Boateng will serve his suspension, paving the way for Rudiger to partner Hummels in defence. Joachim Löw could play veteran striker Mario Gomez in attack, which would send Timo Werner out wide, and place Julian Draxler on the bench. Or it could send Timo Werner to the bench, with Draxler keeping his spot in the side. Either way, the attacking prowess of Germany will prove too much for South Korea, who will definitely put up a bit of a fight, but just how much of a fight, remains to be seen. We suspect the Germans will run riot today, which will eliminate Sweden, and Germany could even finish top of the group, depending on how many goals they score in this match. In Group E, Switzerland v Costa Rica will be an easy ride for the Swiss, since Costa Rica haven’t even scored one goal and it would be a surprise if they even managed that much today. Switzerland are naturally competing for first place with Brazil in this group, and with Serbia facing Brazil, we suspect that Serbia will not make it through to the next round. The Swiss turned in a great finale performance against Serbia, with Shaqiri and Xhaka both scoring, and the former will look to get another goal today. Mario Gavranovic will likely start as centre forward, after assisting Shaqiri’s goal in the last match, ahead of Haris Seferovic, who hasn’t done enough to keep his place. However, it would be more exciting to see Breel-Donald Embolo starting in attack, but manager Vladimir Petkovic doesn’t seem to favour this young talent. Costa Rica haven’t had much to shout about in this World Cup, and Keylor Navas will be kept busy in between the goal posts again today. In the other match, it’s Serbia v Brazil, with the Serbs unlikely to progress, after losing their match against Switzerland at the death, with Xhaka’s 90th minute winner. Serbia will definitely put up a fight and you may see some hard tackles flying in on the Brazilians, as they look to vent their frustrations, as they’re surely going to be eliminated today. Serbia will consider themselves unlucky at losing the last match and will likely start the same team, as in the previous match, whereas Brazil found it very difficult to break the deadlock against Costa Rica until the 90th minute, when Coutinho finally scored. Brazil still need a win today, so anything less would be considered a bit of a disaster, but a point would still see them through. Douglas Costa and Danilo are both out injured, but that won’t affect the natural starting line up and Brazil will field the same team to ensure maximum points. Perhaps, Brazil will turn on the style from early on in this match?